Once a dreaded necessity—so common and inconvenient we still use the phrase “like pulling teeth” to describe an annoying or difficult task—tooth extractions have been minimized by education and technology. They’re still used, but no longer as a one-size-fits-all solution to any kind of tooth pain or infection. Often a dental extraction is preemptive. Some patients have genetically narrow arches, meaning not all their teeth will fit properly. If the patient can’t use arch expansion tools, some teeth have to go. Other times extraction is necessary when a tooth breaks off below the gum line. If you suffered an injury, microscopic fractures may have occurred below the gum line, making the tooth impossible to repair. This may also result from rampant infection, especially one that doesn’t respond to antibiotics. Our expert in dental extractions in Los Angeles extracts a lot of wisdom teeth, sometimes preemptively. These late molars can have trouble erupting into the mouth, or can cause crowding or impacting. Considered non-essential teeth, these are routinely taken out to avoid any trouble. Most extractions are simple, and are done with traditional tools like elevators and forceps. If a tooth is compromised or structurally damaged, it may require surgical removal. Contact our Los Angeles dentists for more about extractions. When is Extracting a Tooth Necessary? Despite the range of preventive and restorative medicines in modern dentistry, it’s not always possible to save a tooth. 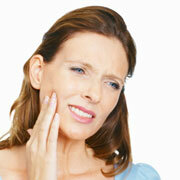 Injury or illness can undermine a tooth’s health immediately or over time. In the latter case if you don’t take care of it the tooth could be damaged irrevocably. In severe cases of periodontitis, bone integrity can deteriorate and lead to active tooth loss. Teeth may be preemptively pulled in this event. Less severely, when preparing the mouth for orthodontics like braces, certain teeth may be pulled to eliminate crowding. If you have a broken tooth, there’s a good chance the break extends below the gum line making a filling or crown impossible. And even the smallest fracture can destabilize the root. Extreme infection, such as an abscess, can leave a tooth too badly damaged for root canal therapy. Our expert in dental extraction in North Hollywood also extracts teeth as a precursor to dental implants. The extraction site can be prepared for implantology as soon as the procedure is finished, in most cases. Once it’s determined you need an extraction, there are two kinds—simple and surgical. A simple extraction removes the tooth with forceps. A surgical extraction may be necessary if access is restricted and bone or soft tissue must be cut through first. Contact our dental office in North Hollywood for more information. Dental extractions are not typically a first line treatment for most problem teeth, but they are a necessary treatment for teeth that cannot be saved through other means. Our West Hollywood dentist may recommend a dental extraction if you have a severely damaged or decayed tooth, baby teeth that have not fallen out on time, impacted teeth, or teeth that are interfering with orthodontic treatment. The process for having a tooth extracted is usually straightforward. Before the procedure, we will obtain a complete medical and dental history, as well as a list of all current over-the-counter and prescription medications. We then take an X-ray to determine the best way to remove the tooth. Some patients may need to begin taking antibiotics before the procedure depending on their needs. During the procedure, we will give you a local anesthetic to completely numb the area around the tooth, meaning the process should be painless. This is to prevent you from feeling any discomfort. However, you might feel some pressure as the tooth is loosened. The entire process usually takes just a few minutes once the anesthetic has taken effect, and gauze will be placed over the extraction site to help stop bleeding. A surgical extraction can be more complex. We will need to make an incision to access the tooth, but after the incision, the tooth is usually removed much like in a simple extraction. Stitches may be needed to close the incision. Call our expert in dental extraction in West Hollywood today to learn more about extractions or to schedule an appointment with our team. Puede ser necesario extraer un diente por muchas razones. Si la higiene dental ha sido descuidada, los dientes pueden deteriorarse más allá del punto de reparación. Del mismo modo, una infección puede llegar a ser lo suficientemente grave que es mejor sólo eliminar el diente en lugar de realizar un tratamiento de conducto radicular. Otra razón común es el hacinamiento, en el que nuestro dentista de Los Angeles necesita quitar un diente para preparar la boca para el trabajo de ortodoncia. Uno o ambos arcos también pueden llegar a ser demasiado lleno una vez que crecen las muelas del juicio, que a menudo se eliminan para eliminar o prevenir múltiples problemas. Si una de estas situaciones se aplica a usted, he aquí alguna información sobre qué esperar cuando se extrae un diente. El proceso comenzará con nuestro experto en extracción dental en Los Angeles administrando un anestésico local para prevenir cualquier dolor o malestar. A continuación, eliminará cualquier tejido blando o duro que cubra el diente, y cogerlo con pinzas dentales. El diente se balanceará hacia adelante y hacia atrás para aflojarlo del hueso de la mandíbula y los ligamentos a los que está unido. Un diente más difícil de quitar puede necesitar ser extraído en pedazos. Una vez que el diente ha sido removido, un coágulo de sangre se forma generalmente en el zócalo. Morder en un cojín de gasa puede detener el sangrado. Nuestro experto puede colocar algunos puntos de sutura para promover la curación. As a general rule, dentists and patients alike want to avoid the loss of a tooth. But sometimes tooth extraction becomes necessary to preserve overall oral health. A tooth extraction can be an isolated event, or it may be part of the overall treatment plan for a smile make over in Los Angeles. There are a number of reasons that a tooth may need to be removed. • Badly damaged tooth: If a tooth is too badly damaged from decay or trauma to be restored, it will need to be removed. • Overcrowding: Sometimes, prior to orthodontic treatment a tooth needs to be extracted if the jaw is too small to accommodate all of the teeth. • Impacted tooth: If there is not enough space for a tooth to break through the gumline completely, it may need to be removed. • Infected tooth: If an infected tooth cannot be treated by root canal therapy, it will need to be removed to prevent the spread of infection. This can occur in cases of severe infection or when there is a fracture in the tooth. • Loose teeth: If teeth become loose due to periodontal disease, they may need to be extracted. If you need to have a tooth removed, ensure the extraction is performed by someone with experience. contact our expert in dental extraction in Los Angeles to schedule a consultation. Dental extractions can be used to remove badly damaged or decayed teeth. However, an extraction permanently removes the tooth from your mouth and leaves a gap behind. While an extraction might be the best option for some cases, choosing an alternative may be appropriate for others. Our Santa Clara dentist can help you decide if an extraction is right for you. If your tooth is abscessed or has nerve damage, a root canal may be a better option. This procedure, also known as endodontic therapy, removes the soft tissues from the inner chambers of the tooth. The tooth can continue to function as it always has even without these tissues. Once the tissues are gone, we will cover the tooth with a porcelain crown to restore the way it looks, and to protect its function. Once a tooth is extracted, it will generally need to be replaced. A dental implant, bridge or other restoration can be used in most cases. A root canal is a conservative alternative that can eliminate the need to replace the tooth, though, as long as the damage isn’t too severe to the tooth’s structure. Call us to learn more about extractions and root canals, or to schedule an appointment with our expert in dental extraction in Santa Clara. It is always preferable to be able to hang onto your natural teeth throughout your life. Most people associate tooth loss with excessive tooth decay, gum disease, or a physical injury, but you can also lose a tooth through a dental extraction. This is a procedure in which a dentist in Beverly Hills will remove a tooth. This treatment is necessary when the tooth has been seriously infected, and the expert in dental extraction in Beverly Hills wants to prevent the infection from spreading. Dental extraction often requires anesthesia, so following the treatment, you will probably need someone to drive you home because you will be too groggy to drive yourself. Your dentist will give you aftercare instructions to take care of yourself following a dental extraction so that you can have a speedy and efficient recovery. You should take it easy for a few days following the procedure so that you do not disturb the surgical site. Minor bleeding is to be expected, but you can reduce the amount of bleeding by keeping a piece of gauze over the area. Your dentist may also prescribe antibiotics and pain medication to ensure your comfort throughout the recovery period.